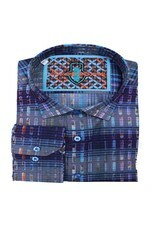 Luchiano Visconti is known for their exceptional quality and designs of their shirts. Done is shades of blue, it has multi color striations thru out. 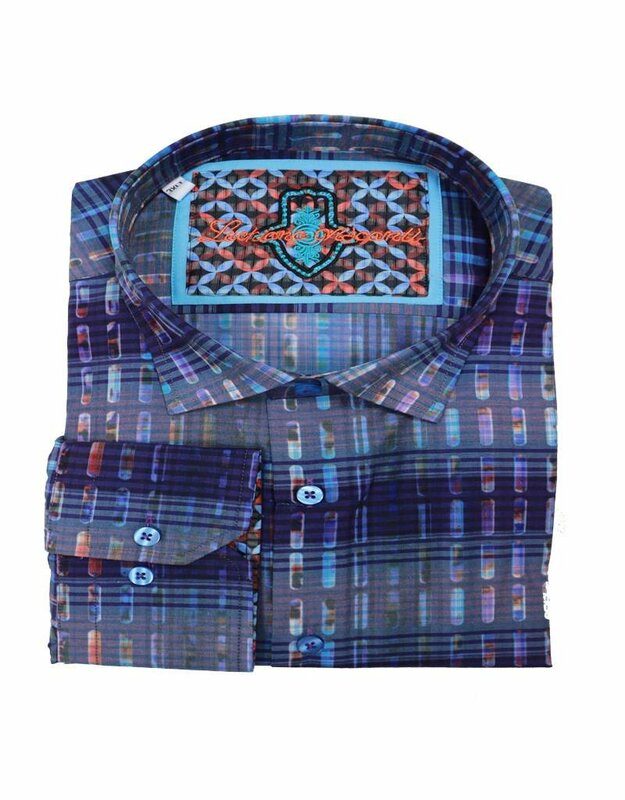 Unique and stylish.